Happy New Year! I hope everyone enjoyed the holiday. 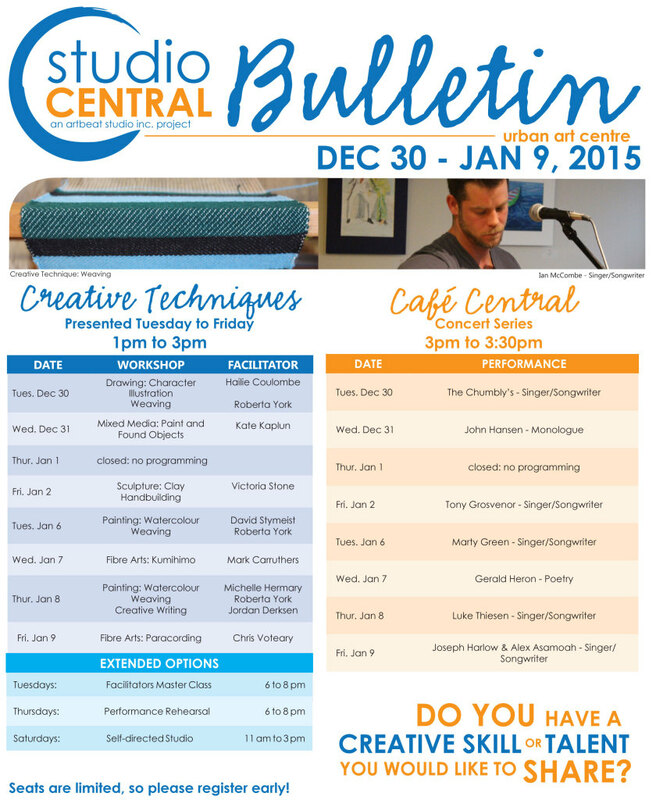 2015 will be filled with plenty of arts programming here at Studio Central. Artbeat Alumni Katrina Koltek is exhibiting Perceptions in the Alumni Gallery at Studio Central. Please come to the studio to view the exhibit. Please join us at Studio Central – our day programs, Thursday Performance Rehearsal and Self Directed Studio start Tuesday December 30th. We look forward to seeing you!